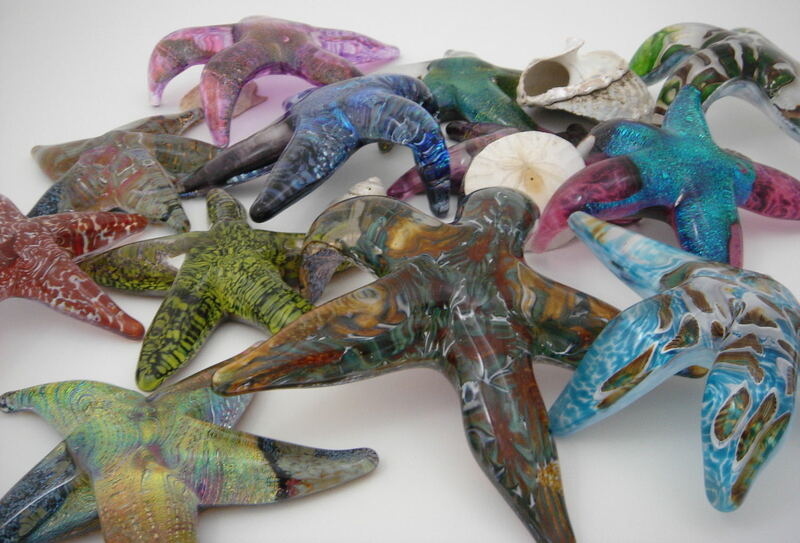 John Gibbons recreates the movement, colors and creatures of the ocean in his glass artwork. He has transformed the cold, craggily northern coasts and tropical warm ocean waters into the earthy tide pool greens and glowing aquas that his work is known for. 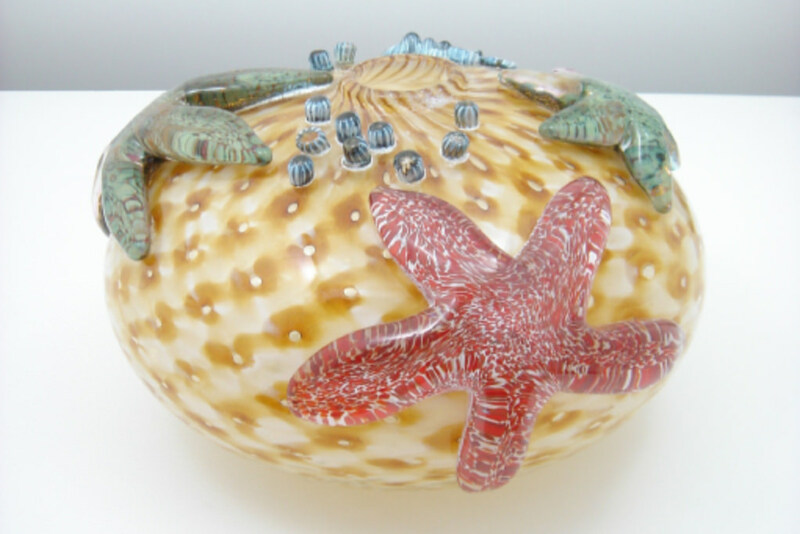 He creates detailed glass vessels with starfish clinging to the sides, turtles riding on optical waves, and starfish clustered together in the shape of a crown. Gibbons developed his Ocean Series in 2011 while in San Diego, CA. He has recently dived into lighting, transferring his sculptural techniques to artistic table lamps and chandeliers. Gibbons uses unique metal hand tools to shape his glass artwork, some which he welded himself, and a small handheld torch that pinpoints the heat to liquify the glass and create smaller details. 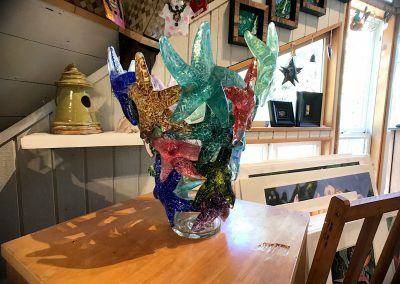 He layers organic color patterns underneath a thick layer of clear glass, making his sculptures appear as though they have just been pulled out of the ocean. 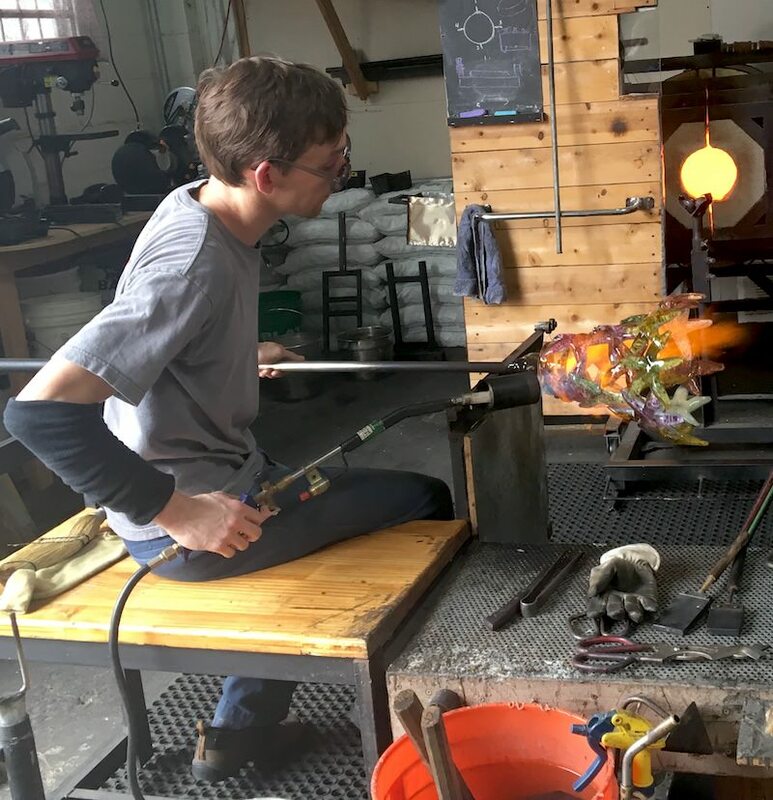 John Gibbons has been blowing glass for over thirteen years. He grew up making art in Northern California, encouraged by his father who is a painter and glass collector. His father would take him to antique glass bottle shows and explain the craftsmanship of the glass, inspiring a life-long passion. 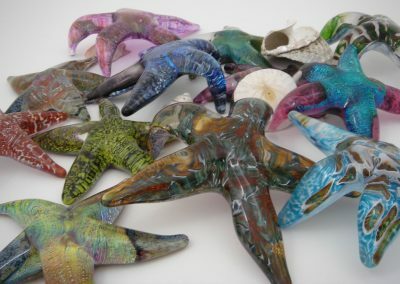 Gibbons officially began his study of glass in 2003 at Shasta College and went on to earn a BFA in glass from California State University, Chico in 2009. 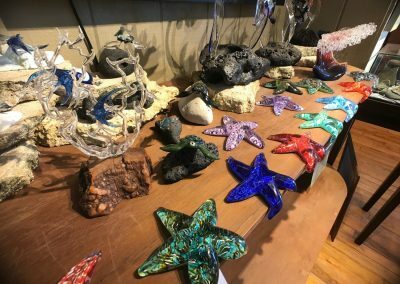 After graduating, he moved to Cambria on California’s beautiful central coast to work at Harmony Glass Works. 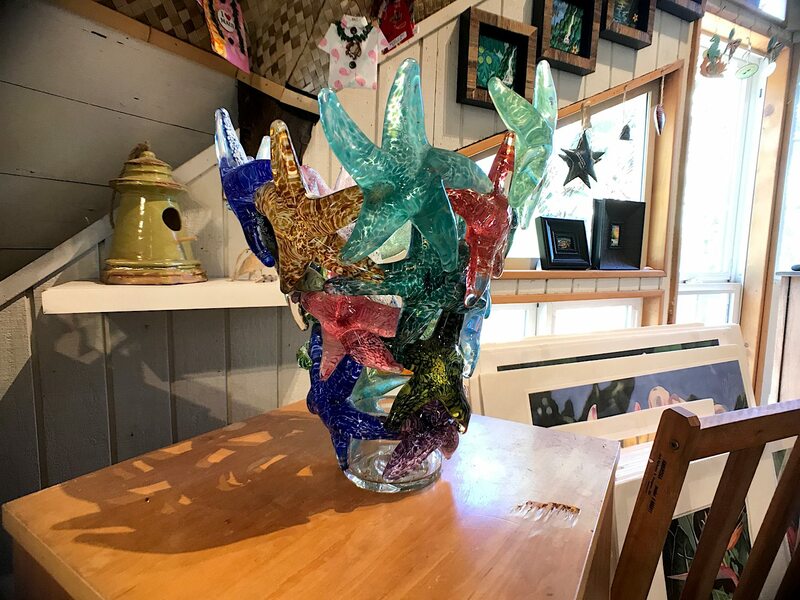 In 2015, Gibbons moved back to Northern California to open a hot glass shop in Eureka, CA where he continues to create his beautiful glass sculptures. He has studied with glass masters Pino Signoretto, Martin Janecky and Benjamin Moore.